On the last track we discussed exposure to gambling. We examined five methods of avoiding exposure to gambling. These included self exclusion, being near a gambling establishment, being in a gambling establishment, being alone in a gambling establishment, and receiving an invitation to gamble. Think of your client. What single element contributes to the persistence of gambling habits more than any other? Clearly, it is the amount of money available. I find this fact is undeniable regarding each pathological gambler I have treated. For example, Tom actually stated, "The more money I have, the more I risk gambling it." Consequently, in addition to avoiding exposure to gambling, you might consider that your client restrict their access to money as much as possible. Therefore, on this track we will discuss finances and relationships. Strategies for dealing with finances and relationships in the face of a gambling problem might include transferring management and the "Relationship Developing Technique." The three steps in the Relationship Developing Technique are to increase awareness of needs, focus on nurturing relationships which meet those needs, and journal positive relationship development. Could your client benefit from a technique like this? Perhaps playing this track during a session might be beneficial. First, let’s discuss the strategy of transferring management. Gamblers like Tom can temporarily transfer the management of money to a third person. Perhaps your client has a close friend or relative who can help the gambler to better manage their income and spending, particularly for meeting basic needs and paying bills and debts. Some clients may understand that in the short run, humiliation is better than the risk of losing everything. However, as you probably know, certain gamblers like Tom, may find it humiliating to give control of their finances to a close friend or relative. Therefore, Tom and I discussed the possibility of requesting the services of a financial consultant or an organization to learn how to establish a budget according to his income and current expenses. Tom’s financial consultant benefited him by accompanying him during procedures such as declaring bankruptcy. Tom stated, "I feel like my finances are finally getting back in order. It makes me think about gambling less because I don’t feel like I need a big win in order to be okay financially." Think of your Tom. Could these strategies help put your client in a better position to undergo therapy? Next, let’s discuss four additional financial strategies. If transferring management of funds is not an option for your client, he or she might consider the following actions. --1. First, clients might consider canceling their credit cards. According to Joleen, age 41, that is easier said than done. How might you help a client like Joleen see the benefits of canceling credit cards? -- 2. Second, I suggest clients do not carry their ATM cards. I feel this can benefit clients for two reasons. First, ATM cards allow the gambler to place bets, buy lotto tickets, or get casino chips without manipulating money. Also, ATM cards help the gambler avoid considering his or her account balance when purchasing something. -- 3. 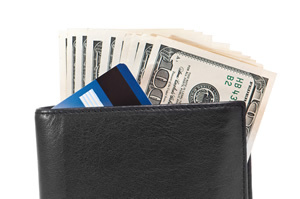 In addition to canceling credit cards and not carrying ATM cards, a third financial strategy is limiting access to the bank account by requesting that a cosigner be required for all cash withdrawals. Perhaps your client’s wife or husband might be able to help limit access to accounts. -- 4. Fourth, you might encourage your client to give clear instructions to friends, family, and even the owners of gambling establishments that they are not to lend the gambler any money. By themselves, these strategies may not be a productive method for client’s to avoid gambling. However, could your client benefit from implementing them collectively? In addition to finances, let’s discuss relationships. As you know, gamblers often isolate themselves because of their gambling problems and little by little they abandon friends and family. Do you agree that if gamblers distance themselves because of their gambling activities and sink into their problem, family members might distance themselves through exhaustion and exasperation? I find that returning to familial relationships can be therapeutic for the gambler. Would you agree? But how can the gambler prove him or herself trustworthy enough to foster new relationships from the broken old relationships? This can be a vicious cycle for the gambler. Social isolation leads to a desire to gamble. Gambling leads to social isolation. In addition, gamblers find a sense of community among fellow gamblers within gambling establishments. Tom experienced difficulty with his relationships. As mentioned in track 1, Tom had gotten divorced. Tom stated, "But not only did I lose my wife. I lost her family and I’ve become separated from my own!" Think of your Tom. How might your client overcome loneliness and develop relationships that can help him or her overcome a gambling problem? To help Tom overcome his loneliness, I asked him to try the Relationship Developing exercise. -- 1. First, I wanted to increase Tom’s awareness regarding which of his personal needs he felt were not being met. We discussed the needs relating to his desire for improvement. Some of Tom’s needs were self-esteem and camaraderie. Tom described these needs in his journal. -- 2. Second, I emphasized those needs which could only be met through personal relationships and asked Tom to focus on nurturing the relationships he used to have to fulfill those needs. Tom’s next journal entry included his plans for positively developing relationships with his family. -- 3 .Third, clients like Tom can include any positive relationship developments in the journal. I have found this technique also works well for clients whose anger or frustration with gambling has negatively affected relationships. Do you have a Tom who is pathological gambling client who might benefit from journaling regarding unmet needs? On this track we discussed finances and relationships. Strategies for dealing with finances and relationships in the face of a gambling problem might include transferring management and the Relationship Developing Technique." The three steps in the Relationship Developing Technique are to increase awareness of needs, focus on nurturing relationships which meet those needs, and journal positive relationship development. On the next track we will discuss attaining and maintaining abstinence from gambling. Three effective methods for attaining and maintaining abstinence from gambling are self help groups, photographs, and time management. What are three steps to the Relationship Developing Technique? To select and enter your answer go to CEU Answer Booklet.